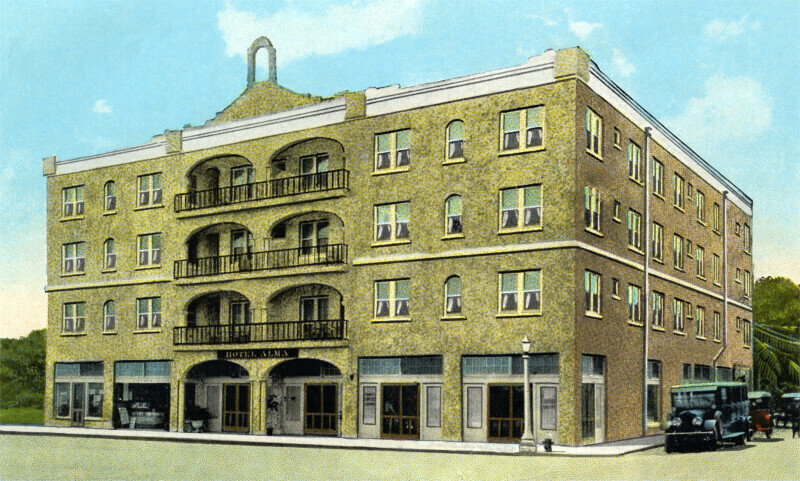 This four story building is the Hotel Alma. There appear to be small shops on the ground floor. There are paired balconies on the front façade, in the center of the building.